Surplus microwave relays are relatively widely available on eBay and other surplus stores but they usually have a 24 or 28V coil. Most of the smaller ones I have (non-latching, SMA connectors) have a 200 ohm coil, and they turn on around 14-16V and turn off around 7-9V, which makes them unuseable directly from a 12V battery. If your transverter uses a MA/COM brick or other similar oscillator, you already need a 21V nominal source, which can be used to drive the relay(s). However, if you do not already need a higher voltage, it is unnecessary to build a voltage converter just for the relays, since it is much simpler to use the circuit below. This circuit takes advantage of the fact that relays need a much lower voltage to stay on than they need to actually turn on. 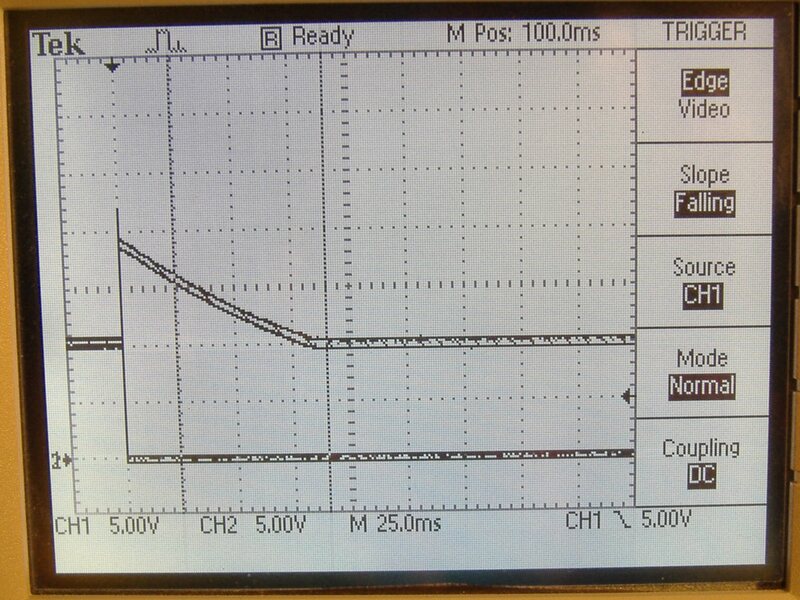 The following picture shows the voltage at both ends of the relay coil when the switch is closed. This relay has a 200 ohm coil and the supply voltage was 10V, to show that driven that way, there is sufficient margin and the circuit will work even with a low battery. 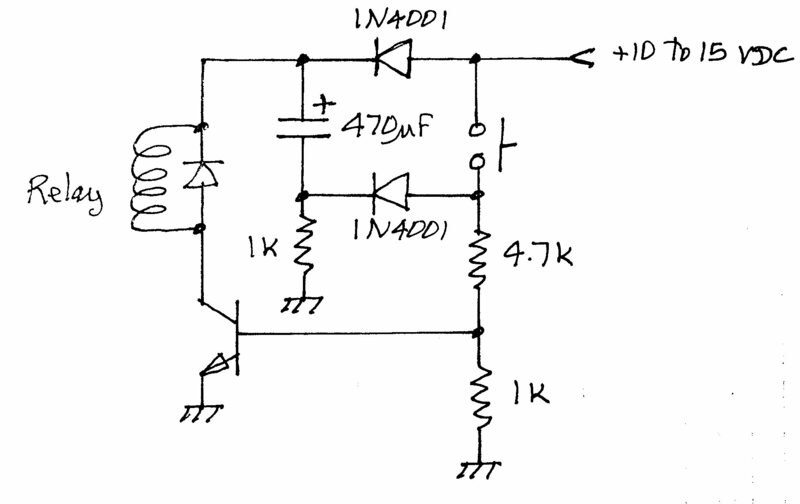 This circuit has fast turn on and fast turn off, which makes it convenient for a transverter. For a higher current relay, you may need to increase the capacitor and the current rating of the transistor, and decrease the 4.7k resistor to give the transistor more base drive.